Your mentality creates your reality. Your energy creates. You are the SOURCE of all realities, for they originate, emanate and radiate from deep inside of you. “That out there” is your own hologram that has become solid so that you have something tangible to show you what you hold inside of you. Human holds duality & conflicting beliefs. I am love but I hate/blame you. I am light but I have darkness. I am abundant but I don’t have enough. I respect you but none of us are worthy. I am responsible but it’s their fault. I am powerful but I’m waiting for someone to save me. They are sovereign but I pity them. I am happy but I don’t have/am not enough. I don’t judge, but look at them. I am enough but I need something else to be happy…. These conflicting transmissions create each’s world. Human aspects don’t understand that those subconscious hidden programs are beliefs… and each frequency is housed inside the body, the energy is the emotional release of that belief, the thought is the audible transmission of that program/frequency….. If it’s running inside of you, if you believe it, if you ignore it/try not to hear it, it’s still creating your physical reality world. You become conscious to your entire subconscious. After awhile, you become fully conscious to ALL simultaneously that is in your entire field of consciousness. You can not BE fully abundant and still feel like/believe/continue to allow/do less. You cannot be prosperous if your actions are still of lack. You cannot experience a fully abundant reality if you keep living the old conflicting programs from inside. You have to notice the conflict (distortion) and change your own energy yourself. You cannot keep wasting “all things energy” and “spending” it on the old. Your field of consciousness, this creates. So if you are holding back, if you are not DOING YOUR WORTH, if you are not SHARING fully that which you DO HAVE ACCESS TO, if you are not utilizing every opportUNITY, seeing EVERYthing as a gift…. then you are the one that is unconscious and asleep still. As you awaken fully, you start to realize that everything serves a purpose in your world. That roof over your head provides you an opportUNITY every day to make a difference, every moment to check your own energy…..
What is your energy/your field transmitting IN EVERY MOMENT? Are you aware of this? Do you move energy yourself? Do you increase your ROTATIONAL FIELD SPIN sooooo fast and high, that your field spans all dimensions for you…. and you get to chill a bit and have some fun? Are you intentionally working consciously in every dimension, sleep and wake state, or are you still asleep in some of them? Do you “go human” and slack? Do you disconnect from CREATOR/SOURCE inside of you to forget again? Do you stop “doing” when you get what you want, things are easy… is the only time you open up/step-up is when you want something for you? What happens when you get it, does your rotational field spin start going in the opposite direction again? Is your heart open when you are desperate and then close/you go unconscious with still stepping up when you don’t have to? How you spend your energy, your time, where your focus is, WHEN YOU KICK IT IN GEAR…. this will tell you what you require in your own reality world. Are you generous when certain things happen, then the rest of the time not? Are you aware of your energy? All of your aspects? Listening to your own words, observing your own actions, seeing your own habits/go-to’s, seeing when you shift from one dimensional aspect to another and what’s going on with you? Do you see, truly… how you are creating absolutely everything that you experience here? Do you see that things change when you change them and you stop going back to old mindsets and letting the old unconscious programs start running again? Are you aware that your WORTH is based upon what you contribute, based upon the way you see yourself, how you see others, what you do with what you DO have, how you project/what you project and what you allow from others in your own reality world? Your heart, your soul…. has to be visible ALL OF THE TIME… not your pain, your pity and your lack. This is your human’ness, your unworthiness that you still believe… and when you project this out… this is what you are creating to continually experience here. You can consciously release this energy and not believe it or let it control you anymore… yet you must DO THAT WHICH MAKES YOU FEEL WORTHY in every moment….. If you continue to judge, blame, hold lack, give your power away, separate off from that SOURCE part inside of you where you KNOW BETTER…. where you FEEL the purity, FEEL the MAGIC, FEEL the bliss, FEEL beyond abundant all of the time… then this is what radiates out… How do you transform all back into purity, love and abundance in your own physical reality world? That closing down, that reversal of energy, that resistance or pulling energy……. that is lack. 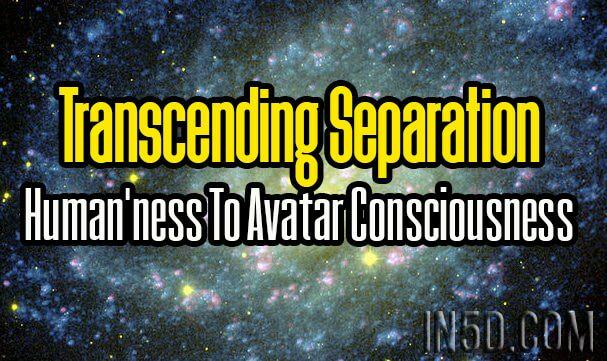 That is unconsciousness, that is human, that is separation…. and that creates worlds…..
Not one of you/us…. gets to disconnect from inside, gets to forget/go unconscious anymore, gets to revert back to old programming for “too long”…. for that’s when everything starts collapsing and abundance stops coming forth….. for physical realities are a vibrational match to what each holds….. Observe yourself, see where you disconnect, see what conflicting programs you have going on…. When your transmission is PURE and without distortion…. then your physical reality can materialize easier and not dissolve anymore…. When your actions are all intentional, when generosity without lack prevails, when you do because of the deep profound love inside of you… then you will exist in a FULLY REMEMBERED state again. You cannot give your power away and stand as SOURCE here. You cannot wait for others and be a sovereign being here. You cannot judge and do at the same time. You have to choose. You have to decide…. are you tired enough of the old to step up and change your reality yourself? If not, you’ll keep repeating the same loop cycle until all of that energy breaks…. Us…. WE are love… divinity…. SOURCE… we are ALL again… We are Energy occupying physical form. WE ARE CREATOR, we are RESPONSIBLE for everything that occurs in our reality worlds. We don’t take this lightly, we don’t waste, we don’t judge or sit around waiting for others…. We respect everyone’s choice for a reality…. we also respect our own, our selves and we don’t live in those lack filled spaces anymore…..
Each of us are here to TRANSCEND HUMAN’ness, transcend all of those separated beliefs…. each of us are here to BE and DO fully….. without the barriers of the old. We stop those old programs in our own reality, we don’t entertain them anymore. WE HOLD THE VIBRATION of our NEW EARTH REALITIES all of the time and we do not waver anymore. The difference in the old and the new? Where we come from… in every moment. What we DO, what we contribute, our mindsets…. Your human will be challenged in every moment… this is the point. Your other aspects awaken and come from within and you REMEMBER HOW TO WALK AS THEM as you INTEGRATE and Merge all inside of you and expand fully…. to encompass and BE ALL again. You will experience every bit of separation that you still hold until every bit of it is gone. As a multi-dimensional, you can observe your aspects and shift from one to another intentionally… until you achieve the ability to maintain balance inside and exist as all of your aspects fully again. This is Avatar Consciousness/OverSoul Embodiment…. All of your aspects merged fully into your physical form. Full consciousness, full power, full everything… emanating and radiating out from within you…. your DNA and genetics constantly mutating, your physical form constantly changing, your Crystalline LightBody Structure constantly upgrading, re-configuring, re-calibrating …. The intelligence we hold is immense, the powers and gifts are too, the purposes, abilities and capacities…. grand and magnificent…. Your evolution back is a vast process….. one that requires that you transcend all from within. It requires your attention, your participating, your intentional actions and assistance… It requires that your heart be fully open, your mind be fully open, your energy be expanded at all times….. Your “job” is to realize/notice when you are not and to open back up and be very intentional with every action and start choosing what you will/won’t continue to allow into your field of consciousness/reality world. You dictate all from inside… and you cannot stay/continue to play/keep trying to remain unconscious anymore. No more excuses. You are required to awaken fully…. this is not negotiable anymore. Get ready loves… StarGates are opening… still slowly…. we’ve moved out of the old “subtle” awakenings and further into the “abrupt awakenings” for many…. The higher we go in frequency, the more this will continue to be true. I love you! It is time… always!